A bright, sunny, windy day at Donington Park yesterday (November 23) saw several significant cars on track – one of which was the Rollcentre Radical. 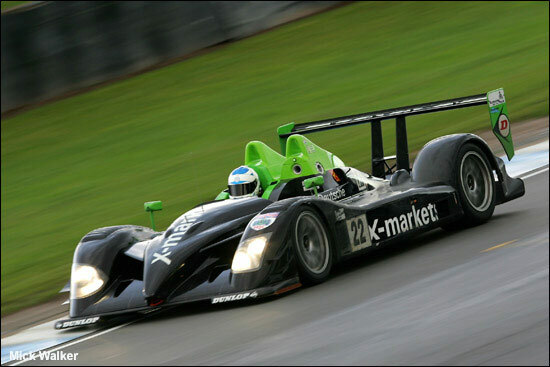 Martin Short warmed the car up then handed over to Shaun Balfe and Phil Keen – not the first run by the former in an LMP2 car, but certainly the first for the latter. Shaun Balfe had a run “to help evaluate future plans for Balfe Motorsport”. The team’s Saleen is for sale. Phil Keen arrived after David Lord (and his camera) had departed, but Martin Short comments that “I’ve always been impressed with Phil’s driving abilities and we wanted to have a close look at him”. Martin Short would say no more (for now) than “we had a very good day yesterday”. More Rollcentre Radical news shortly. Here are Martin Short and Shaun Balfe yesterday, and below that, the flying Phil Keen in action.